9 Pairs of Heels You Can Actually Walk InTo make your commute a little less painful. 13 Pairs of Actually Fun Pants You Can Wear to WorkPlaid pants! Yellow pants! Really wide-legged terracotta pants! 25 Cute Wrap Dresses You Can Wear to WorkLook pulled-together without having to pull a look together. 14 Cardigans for Fighting Aggressive Office Air-ConditioningBecause your flimsy sundress stands no chance of keeping you warm. 17 Easy, Stylish Jumpsuits You Can Wear to WorkWhen you want something cooler than a dress. 24 Sleek Work-Friendly Pieces for Curvy WomenPulled together options for busy weekdays. 10 Non-Boring White Shirts to Wear to WorkTry a portrait neckline, delicate pleats, or puffy sleeves. 9 Classic, Practical Work TotesEverybody needs one. 8 Structured Work Totes Under $200Because there is a chic and affordable way to hold all your crap. The 20 Best Cheap Sweaters for WorkBecause even your office is cold. 8 Pretty, Printed Blouses Under $125The easiest way to spice up your work wardrobe. 9 Stylish and Comfortable Block Heels Under $150Don’t you love it when a trend is this work-appropriate? 9 Fall-Friendly Thin Sweaters Under $100Treat them like your favorite T-shirt. 8 Pretty, Silky Blouses for Under $100The perfect complement to your cozy fall sweaters. 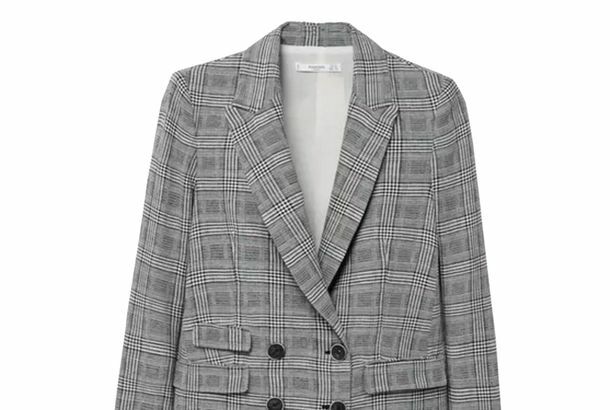 A Boxy Blazer Makes You Look CoolAnd nothing’s easier to wear. 12 Impressive-Looking Bags for Your Next Big MeetingBecause you can’t go in with a sloppy canvas tote. Yes, You Can Wear Wide-Leg Pants to WorkThey’re a nice alternative to skirts. 9 White Shirts That Are More Interesting Than a Button-downLike your favorite basic, but with a little kick. 8 Pairs of Chic Flats Under $150 You Can Wear to WorkYou can wear them to the ground without guilt. 9 Comfy Skirts You Won’t Want to Rip Off at the End of the Work DayLet those legs breathe! 9 Pairs of Pretty Shoes to Stash in Your Desk for EmergenciesLike the Girl Scouts say, always be prepared. All You Need to Get Through Summer at the Office Is a Good Black DressIt’ll make you looked pulled together through the worst heat and humidity. 11 Sleeveless Tops That Still Look ProfessionalNo flimsy camisoles here. 11 Sophisticated Work Bags Under $250Because they’re the true workhorses of your closet. A Patterned Skirt Is Your Secret Weapon for Getting Dressed in the SummerAll you need is a simple tank or button-down and you’re good to go. 9 Affordable Wrap Dresses That’ll Make Your Mornings EasierThrow it on and you’re dressed for the day. Here’s Where to Buy Stylish Work Clothes for Curvy WomenMM. LaFleur extended their sizing to fit women who wear 14W to 22W. A Double-breasted Blazer Is Your Weekday Secret WeaponThe one thing to make it look like you have your life together. 11 Creative Blouses to Dress Up a Boring Interview OutfitThey’ll give you that extra boost of confidence. Under-$100 Work Blouses That Aren’t WhiteThe best cheap fix for when you’re sick of everything in your closet. Lululemon Is Coming for the Rest of Your ClosetThe brand is going even more upmarket with its Lab concept store. Rihanna Did Her Best Business CasualA gingham skirt suit! By Friday, Women Lose Interest in Dressing FancyA week in the life of women getting dressed.